Right now I should definitely be hard at work on the essay that needs to be finished by Friday morning that I haven’t even started yet. But I’m not. Does anyone else find that you could easily write 1000 words on a blog post about a dress or a lipstick but when it comes to writing a thousand word essay for school or for University it feels like such a chore and it takes forever? Because that’s exactly how I feel. Maybe it’s because most of the topics I’ve had to study so far haven’t really interested me that much. I want to learn about the English language but so far most of the essays I’ve had to write have been history based. I’ve not been putting the effort in; my mind is focused on so many other things in my life right now, so I’m getting average results. I think the problem is I don’t know what I want to do in my life. I’d love to make jewellery from home and sell pieces online and at cute craft fairs but I highly doubt I’d be able to make enough money from that. I’d love to make cards from my photographs and sell those but I’m sure there are a million talented people doing that already. I’d love to open my own tea and cupcake shop in a cute little village in the English countryside but lets face it, that’s just a distant dream. I don’t know what I’m meant to be and I wish someone from the future could pop back in time & tell me where I end up. A few years ago a couple of my photographs were invited to be listed on Getty Images through their partnership with flickr and at the time, as an aspiring photographer, I thought it would be a wonderful thing to put on my CV. Looking back now, I wish I had thought about it more carefully. It’s still an achievement I suppose and although I’m shocked and very lucky to have made any money at all, they keep 70% of the profits and I feel a tiny bit cheated. Not to mention they’ve taxed what little money I have made recently which is an extra kick in the teeth. Thanks a lot America, I don’t even live in your country! Thanks a lot Getty for never sending me the form that you appear to have sent everyone else so that they don’t have to pay tax in a country they don’t even live in. And breathe. It’s safe to say I’m not very impressed and claiming tax back seems to be a total nightmare. On the flip side though I do realise that I wouldn’t have made a single penny from my photographs if I hadn’t signed up so I should probably stop complaining! Consider my mouth zipped on the subject. Last Friday I got my first graze box in the post and between us, my mum and I have almost eaten it all. I got the super berry detox, orange & ginger flapjack, lemon meringue pie and the west country cheddar, red onion & chutney focaccia. The flapjack was my absolute favourite, it tastes so so good and I could pretty much eat them by the truck load, which I imagine would be defeating the healthy eating objective of the company. I have a code that will allow you to receive one completely free box & a second half price box. I believe every time someone uses my code I’ll get £1 credited to my account, which I will be donating to the charity that Graze supports which is the school of farming in Uganda. It’s super easy to cancel your account at any time so if you’d just like to try a free box you can & you won’t have to pay a penny. If you’d like to use it my code is V4RGNWT & I already can’t wait to receive my next box. I’m crossing my fingers that I get the honeycomb flapjack! Yummy! Yesterday the beautiful Jess who runs a jewellery company called Raffles Bizarre contacted me & asked if I would mind featuring her jewellery on my blog. I think she’s such a talented jewellery designer so I said of course, and I now have a little Raffles Bizarre graphic in my side bar, which you may have already noticed. If you enter SAILBOAT in the discount code section on the website then you’ll be able to receive 10% off your order which is amazing because the prices are already super affordable! I’d really like you to go and have a look around the website because I really think there’s something for everyone. Also, just to clarify I’m not being paid to say any of this and I won’t be making money if you click on the image or anything like that. I don’t think my blog is popular enough to justify charging for advertising space or blog posts, I just really want to do my best to support companies I really like. Jess has kindly offered to send me a piece from her collection as a thank you, which she really didn’t have to do & I’m very thankful to her for doing that, so there will be a post about which item I picked coming up very soon & a little bit more info on the company. I already have my eye on this adorable teapot necklace & this sugar owl necklace so I have a sneaky feeling at least one of those will be making an appearance on my blog very soon too. Do you know what you want to do with your life? Have you had a career all planned out for a long time or are you seeing where life takes you? Also, if you’ve checked out Raffles Bizarre, what’s your favourite piece of jewellery on the site? ASOS & Primark Loot and an Outfit of the Day of sorts. Yep, ASOS got me again. What can I say? I love ASOS. It’s just so convenient ordering pretty things online sometimes. You can sit there in your pyjamas with a facemask on, buy lovely things and they’re delivered to your house. It’s brilliant and it’s even better when delivery is free! When I saw this beautiful ring was on sale for just £4.50 it instantly went into my shopping bag. The coral and rose gold colours look so pretty together and I thought it would be perfect for spring and summer this year. I bought it in the medium size to fit my ring finger as I do in all other rings but this runs a tiny bit smaller than usual. I really couldn’t be bothered to exchange it for a larger size, which may have been too large anyway, so I did a little bit of DIY and made it a tad smaller so it fits nicely on my little finger instead. I really love it. As soon as I saw this necklace I had to make it mine. Whenever I see things I really love I’ve learned to just buy them asap. A few weeks ago there was a stunning large blue stone on a long chain on ASOS that I wanted but for some reason I never bought it and now it has disappeared from the website. I was gutted. Err actually, ignore that because I totally just found said necklace after one last search attempt and this time I wasted no time in purchasing it! Anyway, back to this beautiful necklace. There’s something about turquoise that I just adore, the colour reminds me of a perfect blue sky in the height of summer when you just feel so happy with life. Please hurry up summertime! Lastly when I saw this in the beauty sale section I couldn’t believe my luck because I had been eyeing this up for a long time ever since I saw Bubblegarm’s post. At full price these New Cid i-glow compact shimmer powders are round £23 which is a bit pricey for me, but when I saw this on sale for £14 I couldn’t resist. I got the shade Coral Crush because I’m on a major peach/coral make up kick at the moment and I absolutely adore this blush. I think it’ll quickly be up there with some of my all time favourites. Not only does it look gorgeous in the pan, it gives a beautiful glow to the cheek, which I’m sure you’ll see in a make up of the day post very soon! I love it! My mum and I popped into Primark yesterday and I must admit, I was a little disappointed in the clothes there at the moment. None of the dresses really caught my eye but surprisingly I didn’t come out empty handed! To be honest, I am not a flip-flop person at all. I really envy those few people who can walk silently in flip-flops because I am definitely not one of those people. When I walk in flip-flops it sounds like there are a million horses walking behind me and I find the noise so incredibly annoying. However when I saw these I just had to have them because they have tiny little anchor and boat charms on them. They were only £2.50 and I think they’re worth that just for the cuteness factor alone. After that flip flop find I didn’t think I’d find anything else quite as cute until I saw these beauties and honestly, how could leave the store without purchasing these? They are so far beyond adorable it’s ridiculous and if I were a pair of shoes, I’d quite like to be this pair please! For only £6 they quickly found their way into my basket and I was a very happy Jennie indeed. I am very easily amused! Lastly here is my final Primark purchase incorporated into an outfit of the day…well, kind of! Today is Saturday and I am currently supposed to be writing an essay instead of taking pictures and writing up a blog post, but the latter is FAR more fun and interesting than a boring essay. The only way to really photograph this dressing gown was to wear it & I thought it best to spare you from seeing my makeup-less face. Trust me, it’s for your own good! I found this on a sale table and thought it was so adorable. The little penguins have Santa hats on so this must be left over from Christmas time but I don’t remember seeing them then because I totally would have bought one. But I have one now & I got this for only £3! Hello bargain! Have you bought any gems from ASOS or Primark lately? What I Wore: Head in the Clouds. A couple of weeks ago I bought myself a skirt and it was a bit of a momentous occasion, well, at least in terms of my wardrobe that mostly consists of dress after dress. In the grand scheme of things of course my skirt purchase was very insignificant. It’s no secret I’m very much a dress kind of girl, but I saw this and after a little deliberation and consulting my mum (she has good taste!) I thought I’d give it a try. At first I thought this would be one of those pieces that looks best on slimmer girls because I thought the pleats might emphasise my already generous hips & make them look bigger but I actually really like how it looks. It’s also super comfortable which is important to me, I absolutely hate feeling uncomfortable and awkward in my clothes. Skirt: Vero Moda - £28. Vest Top: George at Asda - £2. Cardigan: Noa Noa - £30. I have used this bag so much recently and surprisingly it still looks almost as pristine as when I first got it. I guess I’m generally one of those people that’s quite careful with my things, I blame being an only child for that among a whole string of other things, but I don’t ever seem to be too fussy with putting my bags on the floor or stuffing them in my wardrobe haphazardly. So for an affordable, non-leather bag to have held up so well is amazing and this is why I love ASOS so much! Ring: Scape Jewellery - £12.99. I still adore my initial necklace and I’ve barely taken it off since I found it hidden at the back of my jewellery box. Even though the photographs show them, these leaf earrings are still my current favourites and I never take my tiny heart ring off because it was a gift from my boyfriend for our last anniversary and I never feel like an outfit is quite complete without it. I know that’s really silly but because we’re so far apart I like having something from him close by all the time. Foundation: Bourjois Healthy Mix - Shade 51 Light Vanilla. Concealer: Collection 2000 Lasting Perfection - Light. Lips: Illamasqua Obey with a bit of Vaseline Rosy Lips on top. In terms of make up my key words are still simple and peachy. I’ve been using my NARS enchanted cream blush a lot and I definitely prefer the formulation of the Illamasqua cream blushers. Don’t get me wrong, I’ll still use and love Enchanted because the colour is gorgeous, I just don’t think I’ll be purchasing any others from the NARS line. On the other hand, I have my eye on a few more from Illamasqua because I think they’re worth every penny & the formula works so well with my skin currently being so dry! Talking of skin, mine is being a total pain at the moment and I have no idea what to do with it. It seems to be super dry but I also have some persistent blemishes that refuse to budge. I think it’s going through an extremely sensitive patch so I think I’m going to try out the Aloe Protective Serum from The Body Shop and see if that does anything to soothe my skin. Has anyone used the Aloe Protective serum from The Body Shop before? What did you think of it? P.S. I’ve not been feeling quite my usual self for the past few weeks. You know when everything feels like it’s on top of you and you have a million and one things you need to do but all you really want to do is sleep until things get a little easier? That feeling and receiving some pretty horrible news has left me a bit dejected lately and although I’ve tried my hardest not to let that creep its way on to my blog, I seem to have annoyed some people anyway. I apologise for not always being cheery, but that’s just not me. I’m extremely shy & reserved in ‘real life’ and I’m also a big baby & I let things hit me hard. So you know, I’m sorry if I’ve bothered anyone. 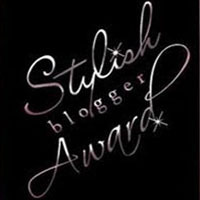 In the last couple of days I have received the Stylish Blogger Award from the beautiful Anna from The Style Diet/Anna Saccone and the Versatile Blogger Award from Carla who has a blog is called Mad Giraffe. Since the rules are pretty similar for both tags I’ve decided to combine them and so after much thinking (I think I’ve shared a lot about myself on my blog already) here are 7 facts about me! Reggie Bear was the first gift I ever ever ever received. I’ve had him ever since I was born and I don’t ever want to be without him. I used to absolutely adore cuddly toys when I was younger and I’d always get one if I ever visited a Zoo or went on a day out as a little memento. I still have a couple of really special ones but Reggie Bear will always be my favourite. I have lived in the same house, on the same street, in the same town for all of my life so far. This has been my hometown for almost 22 years and although I was born here it’s never really felt like home. My Grandparents all live in York and whenever I’m there I always feel like I’m truly home. Don’t get me wrong, I like it here and it’s a lovely little seaside town to visit but it doesn’t feel like it’s where I’m meant to be. I get asked all the time if I’m going to miss the beach and I know I will in the winter time. It’s really magical on those freezing cold foggy days when there’s a thick mist settled over the ocean and there’s no one around. It’s like a scene out of Eternal Sunshine. In the summer however this little town is completely overrun with tourists and the magic disappears. Very soon I’ll be living in a little village surrounded by this stunning countryside. It’s going to be a complete contrast to my life now and I couldn’t be more excited about it. If I hadn’t met my boyfriend I probably wouldn’t have ever visited Derbyshire but when views like this will soon be a short drive away I can’t wait to start the next part of my life. York will soon be an hour away rather than the 6 it is now so popping to my Grandparents house for the day will soon be a reality and not just a distant dream. My boyfriend and I have been together for almost three years now and I still pinch myself to make sure I’m not dreaming. I’m a stroppy little madam sometimes, usually when I don’t get my own way, and somehow he manages to put up with me. The 200 mile distance between us has been difficult & I haven't seen him for three months, but we'll make it. I know I’m only 21 but I think you just know when you’ve met the right person and I know we’re meant to be together. I believe that everyone has at least one talent and I think mine is photography. I’d never been one to have any real hobbies. I hated those little clubs you could go to as a small child and someone was really mean to me when I went to ballet classes so those days were short lived. When I started photography however something just clicked and I instantly loved it. I’ve had luck on my side when I’ve taken some of the images I’m most proud of but there’s something about being behind a camera that feels so right. I’m not a professional photographer and I’m pretty sure that I never will be but I like it that way. It’s something I do because I want to & not because I have to. There are 2 foods I would eat every single day if I could; one is pasta and the other is vegetarian sushi. The first time my boyfriend took me for sushi I wasn’t a fan at all, but I agreed to give it another go and now I’m totally in love. My favourite thing from Yo! Sushi is the kaiso salad, it tastes so so good and I wish I could make it myself or buy it in bulk! I also really love vegetable yakisoba. The only thing I know how to make myself is simple maki so I have a feeling that trips to Yo! Sushi will be happening for a very long time! My mama is my best friend in the whole world. She’s always been there no matter what and I know that if I ever need anything she’ll be there in a second. We’ve had a hard time over the last year or so and I know the only reason we’ve made it through is because we’ve got each other. She’s my rock and I’m so grateful to be able to have such a close relationship with her. If I can be even half the person she is, then I’ll have a happy life. I hope this wasn't super boring to read, I'm sure I've mentioned all these things before at some point but I'm not the most interesting person in the world, that's for sure! I never know who to tag so I'm going to tag anyone that wants to do it. I know, I'm rubbish! I’ve been super excited all weekend because on Friday morning I managed to get tickets to see Adele in September! Yay! I knew they were going to sell out super quick after her gorgeous Brit Awards performance so I had 3 websites open. Yep, totally desperate of me! I don’t think I’ve been to a proper concert/gig since I saw The Flaming Lips years and years ago so I’m pretty excited already! I’m making 2011 the year to do things that I’ve never done before or haven’t done in a long time. I’ve felt like I’ve been stuck in a bit of a rut of nothingness and although days of nothing can be quite nice every now and again, it’s much more fun to fill your days with new things! I’ve rediscovered my love for my spin curl hair dryer! I have naturally very straight and flat hair, which I absolutely hate because it makes my face look chubbier than it already is, no fair! Having waves in my hair though gives it so much more body and texture & it’s far nicer! I don’t like my hair when it’s properly curly because then I resemble Miss Piggy, which is not a good look, so soft waves are the way forward! Ralphie is pretty much completely litter trained which I’m over the moon about. He’s not perfect but he’s so clever! *Proud mummy! * I’m sorry, I’m sure you probably don’t care about stuff like this, I’ve become SO dull lately! I made a facebook page for my blog a few weeks ago. Yeah, I’m not really sure why and I have no idea what I’m going to use it for! But if you’d like to ‘like’ my page then you can find it here. I’d like you to like it but only if you want to. I’ve had over 103,000 hits since June last year which is super duper crazy! I’m sure there are lots of bloggers that get more than that amount of hits a month but to me, a girl who waffles on about make up and clothes a bit, that’s completely insane! I always had 100k as a milestone and something to aim for but I never thought I’d make it there! 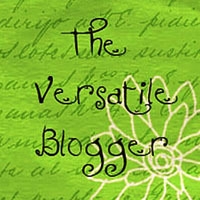 Thank you so much to anyone that reads, comments and visits my blog! I love you all so much you wouldn’t believe & I’m so grateful you’re here! Lastly, I’ve got something I’d like your opinion on because I don’t appear to be able to make any decisions anymore! In my quest to find bargainous items of jewellery I’ve come across some really wonderful pieces that I think I’d like to start selling to anyone that may like them as much as I do. Sounds like a simple decision right? Nuh uhh, at least I don’t think it’s simple because I know a lot of people have an online jewellery shop at the moment & I’m not sure whether I should have one too. I don’t want to be a copycat or anything and I wouldn’t want people to be upset with me or think less of me. I wouldn’t sell anything that anyone else already is (that I knew of) or anything because I’d feel too bad about potentially taking sales from them, even though I’m sure they’re more successful that I ever would be. But I have no idea what to do. It’s not just a money-making venture, it’s not a way for me to make money from my blog or anything like that. That’s just not me. But perhaps it could be the start of something for me? It could be something for me to build on in the future by venturing into designing pieces myself if I find a little niche in the market that I feel suits me and my style. Or maybe it could just be something to keep me occupied for now. I don’t know, I’m super indecisive. My boyfriend said I should go for it but I’m more cautious I guess. I wouldn’t want anyone to think any less of me, or for those with their own jewellery shops to feel like I’m stepping on toes. I would really like to hear your honest opinions on this one, I need some guidance! Phew, sorry for having a bit of a ramble at you there! I didn’t mean for this post to be so long but I’d really love to know your opinions! Anyway, how are you guys? Do you love Adele as much as I do, did you manage to get tickets to see her in September? I have a really bad habit of checking the ‘new in’ sections of the ASOS website a couple of times a week & I don’t know why I do it to myself because I always find myself lusting over something beautiful that I can’t really justify purchasing. Normally I manage to talk myself out of things but sometimes I fail. When I saw an array of NARS products in the beauty section I couldn’t help myself and I just had to get something. I was quite surprised at just how pricey NARS products are though so I did limit myself to one thing. I’m sure you all know that blush is my thing. I just love it and I don’t know why. There’s something about them that makes them feel more substantial to me and therefore worth the investment, I don’t think I’d be able to spend £17.50 on a lipgloss for example. It just seems a bit much to me! So I knew the item I got would be a blush. 99% of people I asked said they preferred the powder blushers from NARS to the cream ones so I was all set on Mata Hari which looks gorgeous and I still really want it, but I fell in love with one of the cream blushers called Enchanted and I had to have it. It was the description ‘a soft peach with gold sparkle’ that sucked me in because it sounded so lovely and perfect for the spring & summer. Thankfully ASOS were running their 20% off for students promotion because full price this costs £20.50. Ouch! The colour in the pan is stunning, I absolutely love it and I would say for most skin tones this would definitely be a highlight. I’m super pale so I can make this work as a blush with a bit of building up. I’ve found the best way to apply it for me is to dot a fair but of the product on to my cheeks with my fingers and then to blend it out using a brush. The result is lovely and I love the gold sparkles in it. I know sparkle isn’t for everyone & while it is quite easy to brush them off once the blush is applied I appreciate that doing that every time would be a bit of a faff. Concealer: Collection 2000 Lasting Perfection. Eyes: Collection 2000 Big Fake mascara. Lips: Illamasqua Obey & Australis Lipgloss. Would I purchase another NARS cream blush? No, probably not because I absolutely adore the Illamasqua cream blushers which are cheaper and the formulation sits so much nicer on my skin. I am curious to try a NARS powder blush but I just think they’re a little pricey. With all that said I don’t regret getting Enchanted because it’s a beautiful colour, I can see me using it a lot during the summer and I think the gold sparkles are beautiful! Have you ever tried any NARS products? Would you recommend their powder blushers? What I Wore: Comfortable in my own Skin. Outfit posts are quickly becoming my favourite posts to do not because I think I’m super fashionable because I’m clearly not, but because they have given me confidence and made me feel more comfortable in my own skin. I’ve received my fair share of ever so lovely mean comments from anon’s kindly informing me that they think I’m fat and it did bother me. From now on however I'm not going to let it bother me because I don’t think I am fat and surely that's all that should matter? So boo at you anon’s, you should be ashamed of yourselves! So I don’t look like a supermodel, who cares?! I’m probably about 9 pounds heavier now than I was when I was at my absolute lightest. I’d like to lose those 9 pounds and perhaps a few more but I’m in no rush, I’m a firm believer in slowly but surely. My thighs have pretty much always been my biggest insecurity, they clearly didn’t bother me enough to give up chocolate and crisps and take up running, but in my head I definitely thought they were a lot bigger than they really are. For someone as tall as I am, I have oddly short legs so in comparison with the rest of my body they will always look a little stubby but if they actually look like they do in these pictures in real life, then I’m pretty happy! You won’t see me parading around in hot pants or anything like that (don’t worry, your eyes are safe!) but for now I’m embracing my chubby thighs and maybe when my boyfriend starts making me go running with him (meanie!) or I get a puppy (fingers crossed! ), they’ll tone up a little bit. I bought this dress from Primark at the same time I got this lovely. I’ve always found the majority of Primark dresses to be on the short side so I did umm and ahh about buying this but in the end I thought it was too cute to resist. When I first got this home and tried it on I wasn’t keen because it’s quite sheer but apparently sheer things are very ‘in’ right now! Look at me being all trendy I never thought that would happen, and I actually don’t care that my bra is totally visible. Eyeshadow: Urban Decay Naked Palette. I apologise for my face there, sometimes taking outfit photographs makes me go a little bit crazy! I really can't wait until I'm able to force umm..encourage my boyfriend to take my outfit pictures! He really is a talented photographer and he hardly ever takes photographs anymore so I'm sure he's secretly looking forward to our photo adventures. Between us we own about a billion different cameras so there are some really exciting things to come this year on Sailboat! I hope you'll all stick around & come on the adventure with me! Have you ever seen a photograph of yourself that changed your perspective on how you feel about yourself to a positive one? A Valentine's Gift: Neal's Yard Power Berry Skincare Essentials. Last week my boyfriend told me he’d figured out the perfect Valentine’s Day present for me but I needed to pick either berry, orange or rose. I had no idea what he was going to get me and I wasn’t expecting anything because all of his hard earned pennies are going towards refurbishing his new house but I opted for the berry option, still totally in the dark. A few days later the nice delivery man brought a little Neal’s Yard box to my door and I knew I would love whatever was inside. My gift was all beautifully wrapped with a cute Neal’s Yard ribbon and an adorable little message on the gift tag that I am going to keep forever because I’m soppy like that! I had to photograph the gift-wrap because it’s just pretty and makes it extra special so if you ever send someone a gift from Neal’s Yard you can get it beautifully wrapped! I opened it pretty much straight away after spending a few minutes debating whether I should save it for Valentine’s Day or not. In the end I decided I couldn’t possibly wait that long, I’m super impatient! I was so excited when I saw what was inside because I’ve had my eye on this for quite a while. They haven’t had their trial sized essentials kits for very long but I’m so pleased that they do because it’s always lovely to try mini versions before spending the money on something you’re not sure you’ll love. Without even knowing it I managed to pick the option that I would have gone with if I had known what my gift was going to be so I’m super happy about that. I got the Power Berry Skincare Essentials kit and it comes with a 50ml facial wash, a 30ml moisturiser and a 20g face mask. The bottles may look tiny, how cute is the little face mask pot, but I think these are going to last me quite a while. I have had the Power Berry Daily Moisture before and I use it in the summer time sometimes as my daytime moisturiser but also mixed in with my foundation to make it more like a tinted moisturiser. It’s very light, suitable for sensitive skin and really lovely for youthful skin. The full size moisturiser costs £22.50. Neal’s Yard face washes have always been on my list of things I have to try but I’ve been trying to use up the ones I have over the past few months. I’ve been using the Power Berry Facial Wash for the past week now and so far I think it’s a beautiful product. It’s very gentle and Neal’s Yard say it gently cleanses, soaks up skin-ageing free radicals and is soothing with aloe vera. I’ve been using this after my cleanser and you need the tiniest amount so I can see this little bottle lasting me a while. The full sized facial wash costs £14.80. The Power Berry Facial Mask is a product that I have always wanted to try and I’ve had lots of people recommend it to me. The one thing that’s always put me off is the fact the jars are quite small and I wasn’t sure how long it would last. So far I’ve used this mask twice and look at how much I still have left! As you can see it looks like jam, essentially it does feel like you’re smearing jam all over your face and I love it! You can leave it on for up to 10 minutes and then when you rinse it off with warm water it turns into a milky consistency and you can use the little particles to gently exfoliate your skin. The mask gives you an instant radiance boost, it’s suitable for sensitive skin and includes moisturising fair trade Brazil nut oil. I really really love this and I have no doubt that I will be purchasing a full sized pot of this in the near future! The full sized pot costs £24.50 and I think it’s worth every penny! I still owe my boy a Christmas present & I’m waiting on him to tell me what he needs for his house, but I had to send him a Valentine’s gift and wanted to get a little something for the house. I found lots of adorable little salt & pepper shakers ranging from beach huts to elephants, so I gave him all the options and made him pick one without knowing what he was choosing. He definitely chose my favourite so I quickly ordered the last one of these adorable bird salt & pepper pots. I adore them, they’re super cute and I think they’re going to look adorable in his kitchen when it’s all finished! I’ve decided I’m the yellow bird and he’s the blue bird! Did you receive a Valentine's gift this year? This Ralphie doing his grumpy old man face because he knew he’d be going back into his cage for a little while. He loves having my whole room to hop around and having a nibble on my furniture but he’s not so keen on sitting in his own cage. He’s a spoilt bunny but I can’t help it, look at how cute his face is, even if he is Mister Grumpy! It's super rainy here today so I'm taking advantage of it being cold and I'm having a snuggly pajama day. I've got my favourite slipper boots on, my hair is a mess and I'm wrapped up in the warmest blanket ever! How are you spending your Sunday? I made a few alterations to my blog layout this week and I’m really pleased with it! I have the cute little anchor background on my twitter already and I wanted things to look a little more organised and co-ordinated. I wanted to keep the simplicity of my old layout as well as the size of my photographs the same, but I fancied a little extra space in the side bar so this is what I came up with. Do you like it? Or did you prefer my old layout? So it’s Valentines day tomorrow, I can’t say I’m a big fan but for the first year ever my boyfriend and I got each other a little present since we don’t get to be together and go out for dinner or something cute. I was also browsing moonpig and saw they had some super funny cards mixed in with all the silly lovey-dovey ones. We’re not ones for lovey-dovey messages in cards so I of course went with the one that made me LOL the most! I hope he gets it in time, it’s a good’un! Do you have any Valentines Day plans? Share the Love/Follow Friday 004. Sarah’s blog, Sequin This, has been one of my absolute favourites for a long long time! She incorporates a wide variety of posts from beauty to fashion to every day life into a blog that you can tell, just reflects her so well. She has such a wonderful sense of style and I love how effortless and beautiful her outfit posts look. Sarah expresses herself so well, her writing is just a dream to read and her posts always contain such wonderful photographs too! You should absolutely be following her if you’re not already! Charlene is the beautiful lady behind Dainty Dresses & both her and her blog are wonderful! Charlene’s outfit posts are among my absolute favourite posts to read from all the blogs I follow and I’m sure you’ll agree that her fashion sense is amazing. As well as fashion she also lets her readers into her life a little bit within her writing and her wonderful week in photos series, which I think, is so lovely. She’s one of those people that you wish you knew in real life! I’ve been an avid reader of Stephanie’s blog, Buttons, Bows & Brogues, for a long time and I think that everyone should be following! Stephanie is gorgeous, I adore the way she effortlessly puts outfits together that always suit her so amazingly and well, she is just lovely! Her blog is packed full of all things fashion, things she’s loving and little snippets of her life among many many other things. If you’re not already following, you definitely should be asap! Sarah from Burn The Blonde is just beautiful inside and out. She writes so wonderfully and through that writing you begin to feel like you’re old friends having a chat over a cup of tea and a slice of cake. Her outfit posts are always gorgeous, I’m fairly sure Sarah is able to wear anything and make it look effortlessly stylish and her updates on her life are always a pleasure to read! Honestly, if you’re not following Sarah already you’re missing out on something wonderful! Finally I’d like to mention the beautiful Belinda who writes Fashion Crossing and although I’m fairly new to her blog, I’ve completely fallen in love with it. Primarily a fashion blog, Belinda shares her wonderful outfits as well as posting about her current loves, reviews and her super cute hamster! Her blog is so lovely and deserves all the readers in the world! Let me know what some of your favourite blogs are in the comments, I’d love love love to know! Pink shades on the lips and cheeks will always be my favourite colours to wear and I love that there are such a variety of shades! I totally think that even if there’s only a slight difference in shade to a colour you already have it’s perfectly fine to buy it! I think I may have a slight make up problem but I don’t care because it’s pretty! I’ve picked out a few of my most favourite pink lipsticks and lipglosses because I wanted to take pretty pictures of them and waffle on about how much I love them to someone! No one in my ‘real life’ life cares, which is understandable, but I’m sure someone, somewhere might care. Maybe? Revlon Baby Pink from the ColorBurst line is definitely one of the easiest lipsticks to wear ever. I have super dry lips at the moment, thanks a lot winter, but you totally can’t tell when I’m wearing this because it’s so glossy and lovely. The colour is beautiful, it goes with pretty much everything and I think everyone should check this shade out! Wet ‘n Wild Retro Pink is such an insane colour and I just adore it because it’s so crazy! This is one I only wear in the summer time with a neutral face but it look absolutely gorgeous when worn right. On my lips it verges on looking completely purple but you can tone it down by applying it lightly and putting a baby pink gloss over the top if you don’t want such a statement lip. This was so so cheap and well worth every penny! Revlon Pink Pout is gorgeous and this is my second tube of it. Even though it’s matte I don’t find it difficult to wear at all and the colour is beautiful. It’s almost a matte and slightly deeper version of Revlon Baby Pink and I love this with most looks. You get such a good colour pay off and I reach for this so much. If you don’t like the matte look it’s easy to pair with a gloss and this is one you can easily wear all year round. Rimmel Vintage Pink is one of the more unusual lipsticks I have and although I don’t find it as wearable as some of the other shades, I love it a lot. On my lips the purpley undertone of the lipstick really shows through and it ends up being a deep mauve rose shade that I love to wear with flawless skin and lots of mascara. It’s got a glossy finish so you can just apply and go which I love. I really really love this shade. Illamasqua’s Liar is a super pretty light baby pink with slight lavender undertones. This is one of their lipsticks that has a shimmer finish so it’s not as difficult to wear as the mattes and I really love the formula. I do have to make sure my lips are well moisturised so I can’t wear this as often as some of my other lipsticks but I just love how this manages to brighten up my complexion. At £15.50 it’s on the pricier side but I think it’s so worth it for the colour! Illamasqua’s Fable lipstick will probably always be my favourite shade of all time. It is a matte so they can be tricky to wear but I find using a lip brush makes them much easier to apply. Fable was my first Illmasqua lipstick and it’s the most beautiful bright rose colour that looks especially gorgeous in spring and summer with a fresh face, subtle pink cheeks and a pretty summer dress. I instantly feel summery whenever I wear this and I just absolutely adore it! I never want to be without this, ever! For a long time I haven’t really been a lipgloss person and I’m definitely not one to spend a lot of money on one. I’m not really sure why because I wouldn’t hesitate to spend a fair bit of money on a blush, but for lipgloss I always go for the cheaper options. Rose Wet from Alva was sent to me by the company quite a while ago and I think it’s the most beautiful light pinky lavender with silver shimmers. This is quite a pricey lipgloss so I’m not sure if I would try any other colours in case I didn’t like them, but I have a feeling I will be purchasing another one of these when mine runs out. It’s the perfect accompaniment to so many pink lipsticks in my collection and it also looks beautiful on its own. It has a really lovely formula that’s not sticky and the scent is lovely! If you don’t mind splurging a little on lipgloss I’d really recommend this one! Lambada from Australis was a gift from my beautiful friend Tennille who lives all the way over in sunny Australia and I’m not sure if this brand is available anywhere else. If you can get hold of Australis then I really recommend looking at this gloss because it really is the perfect milky baby pink shade. If you’re ever stuck for what to wear or you just want to look extra pretty and feel super girlie then this is the shade you need! This is absolutely my favourite lipgloss ever, the colour is beautiful and it smells and tastes divine! I have I’m With the Band and Fresh Squeezed from Benefit in a double ended lipgloss and although Fresh Squeezed is more of a coral with a slight pink edge I think it’s totally gorgeous and I just had to mention it here. I’m With the Band is a gorgeous pinky purple with a bit of gold and I think it’s quite unusual. It’s unique to my collection at least and I reach for this a lot if I want to bring out any slight purple undertones in my lipsticks. Benefit glosses are quite pricey so I think I would only purchase these in a gift set but I would absolutely love to try more shades. They smell lovely too! Finally Babydoll is one of the plumping lip glaze’s from Eyes Lips Face and I keep meaning to try more shades in the range because I love this one so much. On the lips the colour is only very subtle but it’s so easy to apply and looks lovely over any lipstick or on its own. The clear plumping side is amazing too, I’m not sure if it really does make my lips look fuller but I love the taste and the weird tingly sensation it gives. For £1.50 I think these are great and one day I will finally get around to picking up a few more shades! What are your favourite pink lip products? Are there any that you think I need in my collection? What I Wore: Rumour Has It. I loved this dress so much that I had to get it in two different colours! The website described this colour as berry and while I wouldn’t agree completely it’s definitely not as neon pink as it seems to have photographed here. I think in real life I would call it more of a light rose. It’s completely gorgeous whatever colour it is and I adore it because it’s just so unbelievably easy to wear. It's one of my ‘throw on & go’ dresses because if I’m running late and I don’t have time to think about an outfit but I still want to look nice I know I can put this on and reach for any cardigan in my wardrobe, a pair of tights, a simple piece of jewellery and some flats. Easy-peasy and no thought required. I had a mooch through my jewellery box the other day and I stumbled across this necklace. It was a present from my mama for my 16th birthday and until now I don’t think I’ve ever worn it. From nowhere I developed a very strong dislike for gold jewellery in my late teens, I actually think it was around that time when ‘chavs’ and their fake gold ‘bling’ were everywhere and the words gold and tacky went together like peanut butter and jelly. While I’m still not a huge gold jewellery fan, (I’ll take platinum please..in my dreams! ), I think when it’s worn in a classy way it can look really pretty, especially if you’re warm toned. a fan of lots of blush! It's super sunny today so out came the peachy tones on my cheeks & lips and bronzey golds on my eyes. Bourjois Healthy Mix – Shade 51. Collection 2000 Lasting Perfection Concealer – Light. Bourjois Chocolate Bronzer - Shade 52. Bourjois Little Round Pot Blush – 32 Ambre D'Or. MAC Paint Pot - Vintage Selection. Urban Decay Naked Palette – Virgin and Half Baked. Revlon ColorBurst Lipstick – Peach. Are you as excited for Spring as I am? Or if you've just had your summer, are you excited for Winter? I know in a few months time I'll be complaining that it's too hot and that I want Winter back, but for now, roll on the sunshine, pretty dresses and ice lollies please! I failed at keeping up with my Frame Friday series so I'm extra determined not to fail Sunday Snapshot! I haven't done one of these for a couple of months so I'm giving myself an F for effort and a 'must try harder' comment. I'd be lying if I said these will definitely be posted every week because I'm just not that interesting but hopefully you'll like these. I was contemplating changing it to 'Self Portrait Sunday' but I'm sure you don't want to be seeing photographs of my face every single week! I just wanted to take the time to say again that I really really do try to reply to comments and emails quickly but I'm sorry if I don't manage to all the time. I've had a couple of comments and emails from people who just seem to think I'm self-absorbed and I don't care about replying to people. That really couldn't be further from the truth and I'm really sorry that you think that about me. I'm not just a pretend character that only exists on the Internet, I'm a real person with a life and feelings. Sailboat is an outlet for me to share things I really like but it's not my whole life and it's not my job. I am sorry I don't update every single day and I'm sorry that sometimes it takes a bit of time to get back to you. If I could dedicate more time to my blog I absolutely would in a heartbeat but I just can't, it's not my job and contrary to what some people seem to think I don't make any money from it at all. I hope you understand, I know I could probably try a little harder which I will and the nasty comments can stop now, I get what you're trying to say! I hope you lovelies are having a wonderful Sunday! It's super windy where I am so I'm snuggled in front of our wood-burning stove with a cup of fruit tea, a toasted teacake and a good book. How are you spending your Sunday afternoon? Neal's Yard and Boots Loot. I was running out of a few products that I love so I needed to place an order with Neal’s Yard and Boots, but of course a few extra goodies found their way into my basket along the way. Why does that always happen to me? Please tell me I’m not the only one! I’m sure I’ve babbled enough before about the Neal’s Yard Chamomile Cleanser and the Vitamin E & Avocado Night Cream for you to know that I absolutely adore them. My list of Neal’s Yard products that I’d like to try is probably about as long as my arm so I decided to try something I’d been looking at for a while and that is the Jasmine Enriching Cream. I don’t have neglected skin but I do have dry patches, which I’m hoping this will help with and so far I really really like it. Next I moved on to the Boots website and purchased a few more things than I was intending to but I managed to find excuses to justify me needing to have them. Hello, my name is Jennie and I’m a little bit addicted to make up. Quite a few people have recommended the No 7 muslin cloths to me so I thought I’d give them a try. I’m sure you can buy a whole stack of muslin cloths for peanuts on eBay but I’m not eBay savvy and I don’t have a paypal account because lets face it, that’d be far too dangerous! I love these by No 7, I think they’re a great size and come in a cute little plastic pouch. I’m sure these are packed full of chemicals but my hair is being a total pain so maybe chemicals galore is what it needs to stop being silly. I’m sure these won’t lighten my hair colour by much, if at all but I thought I’d give them a go because I really would like my hair to be lighter. If they don’t work it’s okay, I managed to find these on offer for £7. Bargain! The only bronzer I own is one from Eyes Lips Face and for the most part I haven’t touched it because I’m pretty content with being pale. But, spring and summer are approaching and I want to experiment with new make up looks so I decided to get this Bourjois bronzer, it’s the one that looks like a bar of chocolate and it smells amazing. I’ve got shade 52 and from what I can tell there is a lighter shade available but from pictures I’ve seen online they don’t look drastically different. I think with a big fluffy brush and a light had this will be really nice! small eyes and I find if I use a lot of liner they look even smaller. I do however like using a little really close to my upper lash line to make my lashes look fuller so I think this is what I’ll be using this for. This concealer is incredible and I can’t believe I hadn’t tried this before. A while ago I remember there being quite a few positive reviews on the Collection 2000 lasting perfection foundation but I don’t recall hearing much about the concealer. I’m not sure why I decided to pick this up but I’m so glad I did because this does an unbelievable job of covering my under eye circles without looking cakey or settling into fine lines. I love this and it’s probably my favourite purchase! lovely warm corally peach that’s very wearable and will look perfect once the sun decided to start shining! Lastly the 17 range caught my eye because I know they have some great products at really affordable prices. They have a gorgeous spring collection coming out and I really want to pick up a few of those items but until then I decided to try one of their Shine On lipsticks in the colour Watermelon Crush. This is a beautiful pinky coral colour that I know will look amazing in the summer and the formula is just perfect. I don’t find it drying at all and my lips look plump and moisturised whenever I wear this and I just love it. This is a shimmery colour which I personally adore and I definitely need to check out more shades of the Shine On lipsticks and more of the 17 range in general. Great make up doesn’t have to be expensive and it’s wonderful when you find inexpensive products that really work and look amazing! Have you tried any of these products before? What did you think of them? Have you found any lovely pharmacy make up products lately?